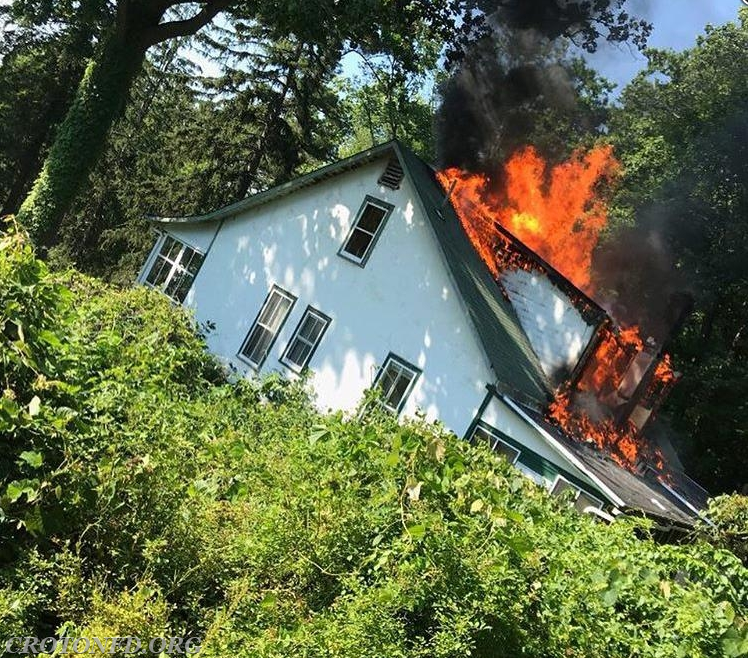 On Sunday, July 1st - during one of the hottest, most humid days in a number of years - the Yorktown Heights Volunteer Fire Department was summoned to a Baldwin Road residence for a reported house fire just before 5PM. 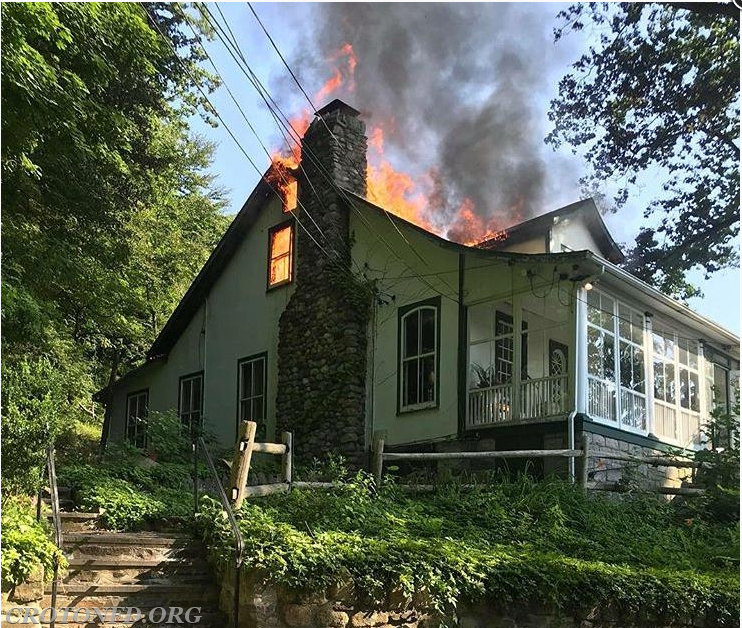 On the initial assignment with the YHFD units was a FASTeam from the Bedford Hills FD - which was coming from the scene of another house fire elsewhere in the County. 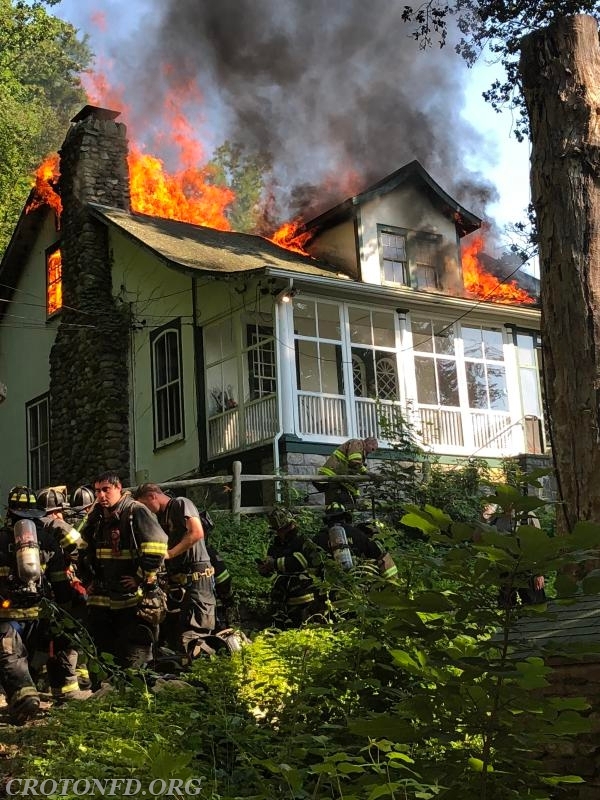 Due to the brutally hot and hazy weather - and the fact most of the guys responding from BHFD were exhausted from the other fire in Croton Falls - our FASTeam was dispatched to supplement the initial team. Within five minutes of dispatch, our FASTeam was responding with over one dozen qualified members. 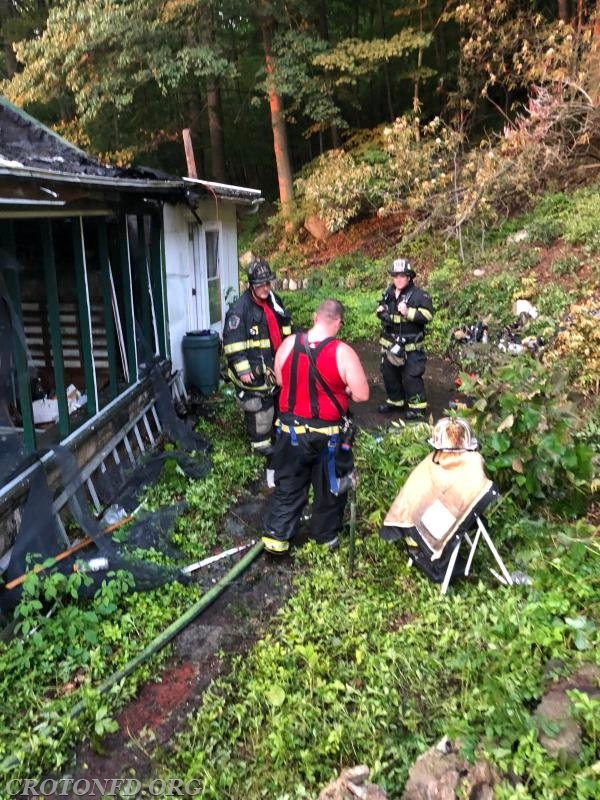 Upon our arrival, members of YHFD and BHFD had just removed one victim from the residence, and Command was pulling members out of the house due to advancing fire conditions. 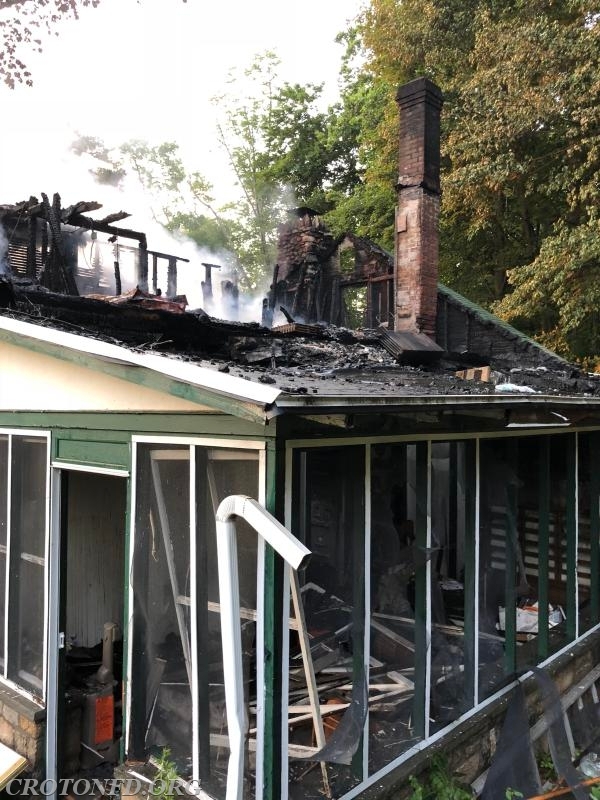 Assistant Chief Munson than worked with the Engine Company from Millwood and two CFD members to place a large caliber hose into use, while Chief Colombo and the remaining CFD personnel remained intact as a FAST until relieved by the Ossining FD FASTeam. 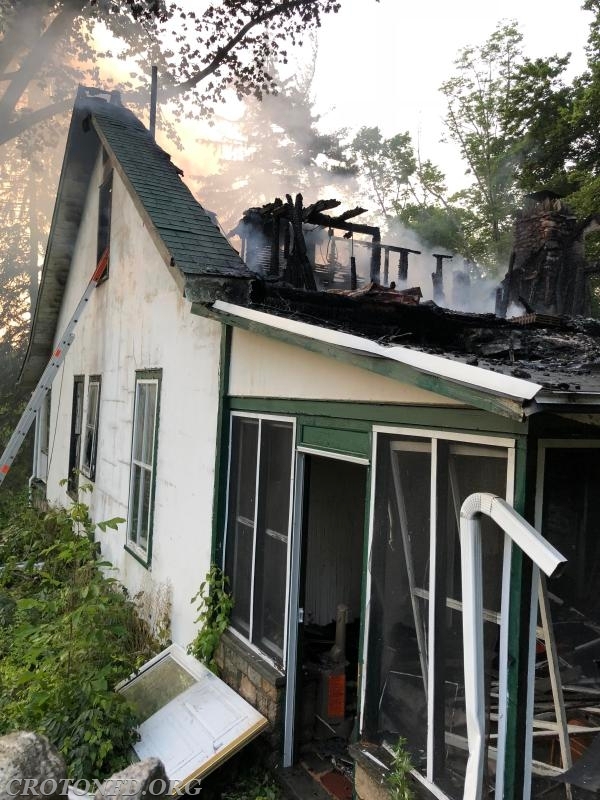 Croton firefighters remained on scene nearly four hours, extinguishing flames, opening up and hitting hot spots. Sadly, the victim removed from the home - a 53 Year Old Yorktown resident - succumbed to his injuries and passed away. 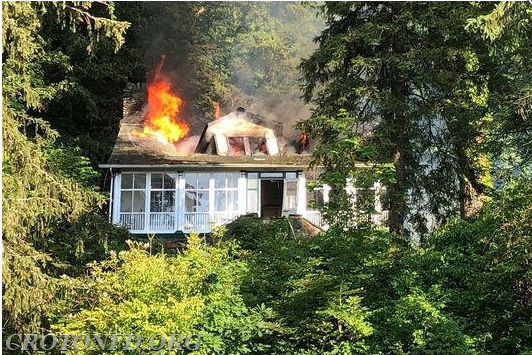 During this incident, additional apparatus were staffed with other CFD volunteers in our district, should any additional incidents occur.